Thorntons Inc. is an independent gasoline and convenience chain retailer in the U.S., currently operating throughout the Midwest. 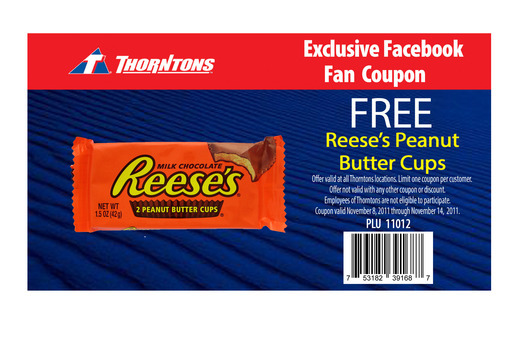 They are offering a coupon for a free Reese’s Cup (2 cups - 42g). Expires November 14/11. PLUS - Get a free coffee with a $1.19 Mars product purchase. That's two chocolate products and a coffee for $1.19!